Looking for the perfect gift for your favorite foodie? Three Royal Oak restaurants have teamed up to offer a special deal this holiday season. 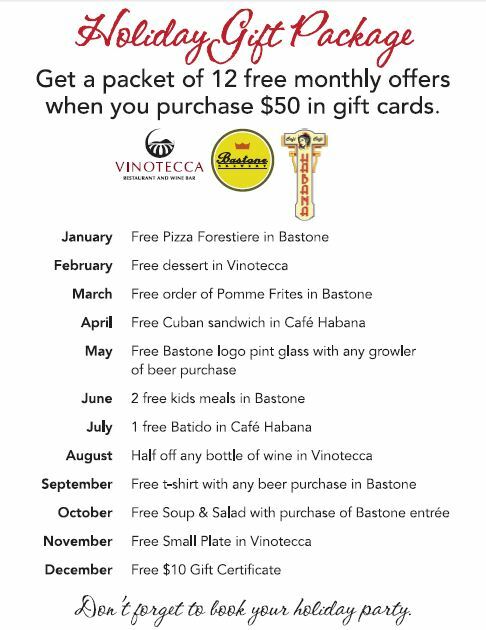 When you purchase $50 in gift cards from Bastone Brewery, Café Habana, and/or Vinotecca, not only are you giving the gift of a delicious night out, but you’ll also receive a gift card that includes monthly food and drink specials at each of these establishments. For more information, be sure to drop in at Bastone, Vinotecca or Café Habana. 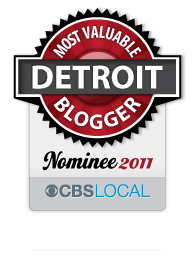 This entry was posted in Detroit, Food, Things To Do and tagged detroit, drinks, Food, holidays, Restaurants, Royal Oak. Bookmark the permalink.